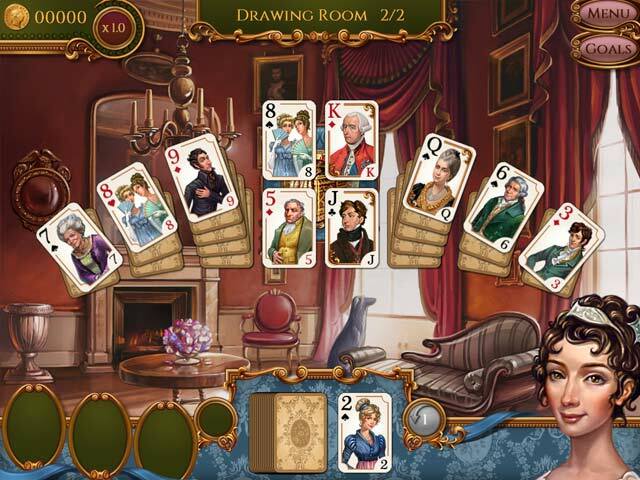 Regency Solitaire Game - 180 unique levels spread over 20 chapters. 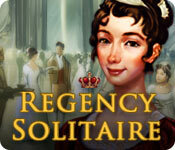 Experience the romance of Regency England, in this sumptuous solitaire game. Help Bella take charge of her destiny and create the ballroom of her dreams. 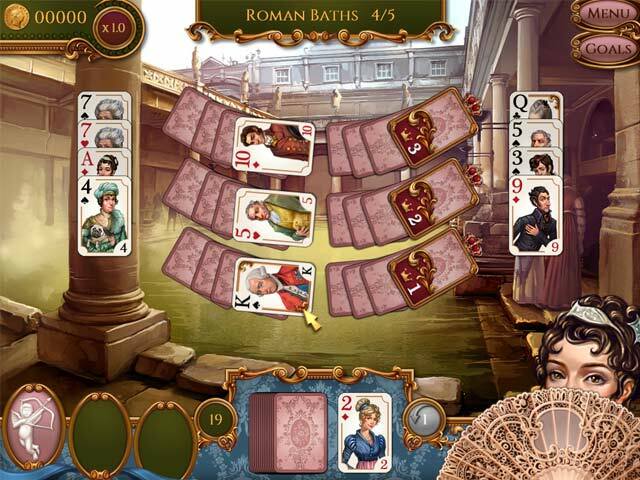 Play your cards right as you tour historic locations, from stately homes and lavish gardens to the fashionable towns of London, Brighton and Bath. Decorate the family ballroom to unlock gameplay features and improve Bella's chances of finding true love! 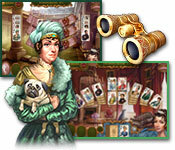 Avoid the clutches of the odious Mr. Bleakley, and reclaim a lost fortune. 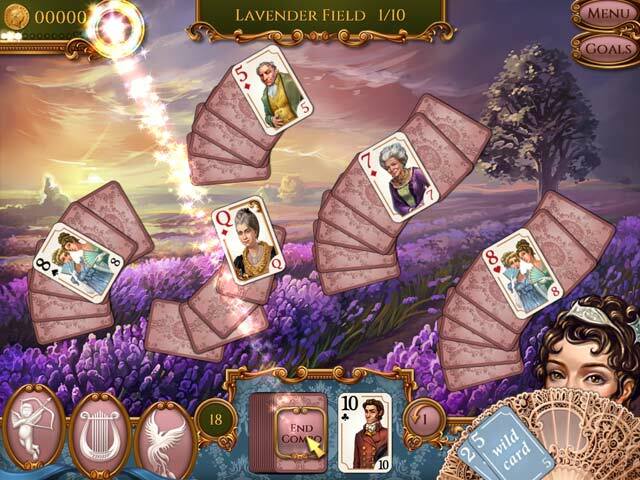 Cupid's arrow can't fail to find his target - in Regency Solitaire, love is always just around the corner.